Brewhouse Industrial Metal Outdoor Armless Restaurant Bar Height Chair with Aluminum Frame - 10 lbs. 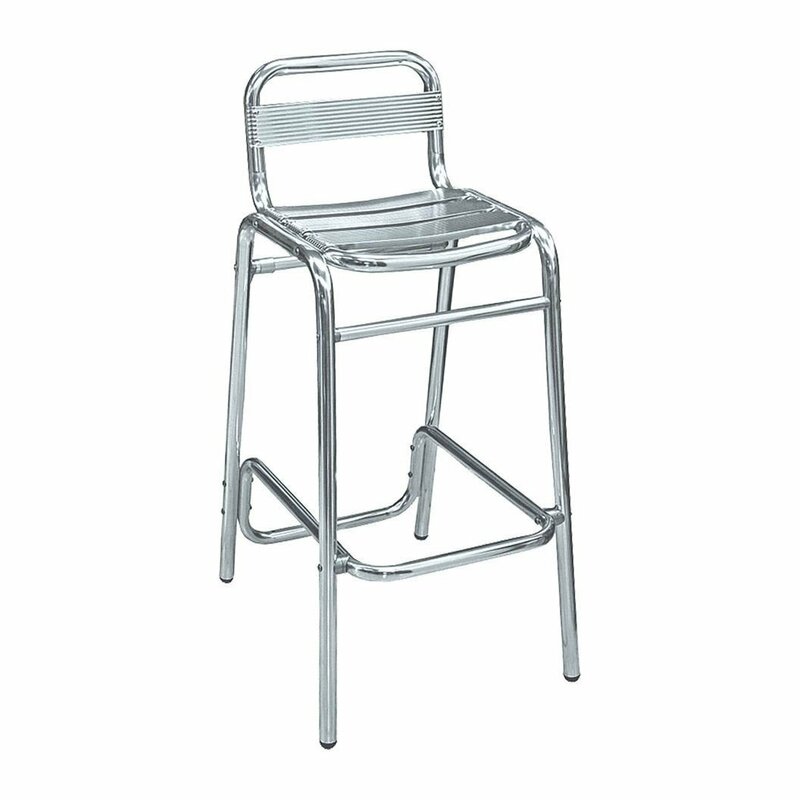 Our Brewhouse Industrial Metal restaurant armless bar height chair features the best price for the quality. Made of lightweight anodized aluminum, this bar chair can last for years on your outside patio without rotting or rusting. Includes a 13.5" high footrest for comfortable support. Perfect for outdoor dining areas at pubs, hotels, and sports bars. Our industrial metal restaurant dining chairs are built to last and come with a 2-year commercial warranty. • Dimension: W 15" x D 13" x H 39"